A quick guide to common citation styles. There are quite a few different ways to cite resources in your paper. The citation style usually depends on the academic discipline involved. Consult with your instructor to make sure that you use the appropriate style. You'll find links below to style manuals available in the library. In the tabs above, you'll find more information and examples of citations in the various styles. This is the style most often used in many of the social sciences, including psychology and counseling, education, communication, nursing, kinesiology, and social work. MLA is used by English and languages and literatures, as well as other humanities disciplines. 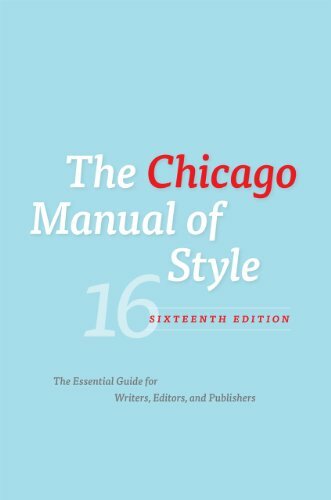 This is the Chicago Manual of Style, adapted for college students writing research papers. Used in history, classics, religious studies, and sometimes philosophy. Aimed at professional editors or researchers. This is the style most often used in history, classics, religious studies, and sometimes philosophy. Available online! Used by researchers in the physical and natural sciences. AMA Citation Style is the American Medical Association's style for research papers and manuscripts. Available online!